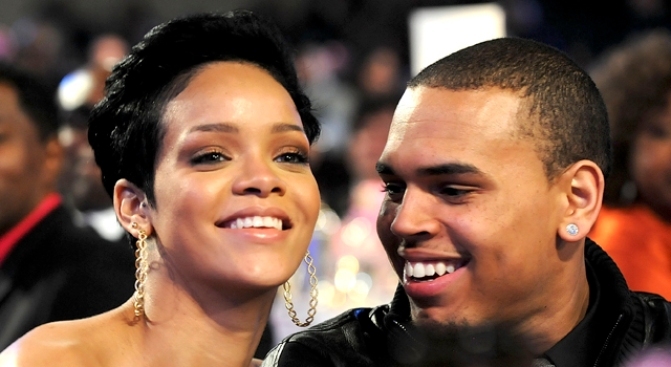 Two L.A. cops have been placed on paid administrative leave as part of the department's probe into the leak of a photograph showing the battered face of pop singer Rihanna after her then-boyfriend Chris Brown pummeled her in February, according to a report. The Los Angeles Times, citing unnamed sources, reported that Rebecca M. Reyes and Blanca Lopez have been “assigned to home” pending the outcome of the investigation into the leak. LAPD officials declined to comment. The photograph appeared on the celebrity Web site TMZ.com about two weeks after the assault in Hancock Park. Rihanna and Brown got into a violent argument in a rented Lamborghini while leaving a pre-Grammy Awards party. Brown turned himself in later that day. He eventually pleaded guilty to assault and was sentenced to five years probation and 180 days of labor- oriented community service. Shortly after TMZ published the photograph of a bruised Rihanna, the LAPD began in internal investigation to determine the source of the leak. Reyes is a nine-year veteran of the department, assigned to the Wilshire Division. Her attorney told The Times that a search warrant had been served at her Los Angeles home. Lopez is a rookie officer with the Hollenbeck Division and was a housemate of Reyes, sources told The Times. Her attorney, Ira Salzman said his client had done nothing illegal and no formal allegations have been made against her.